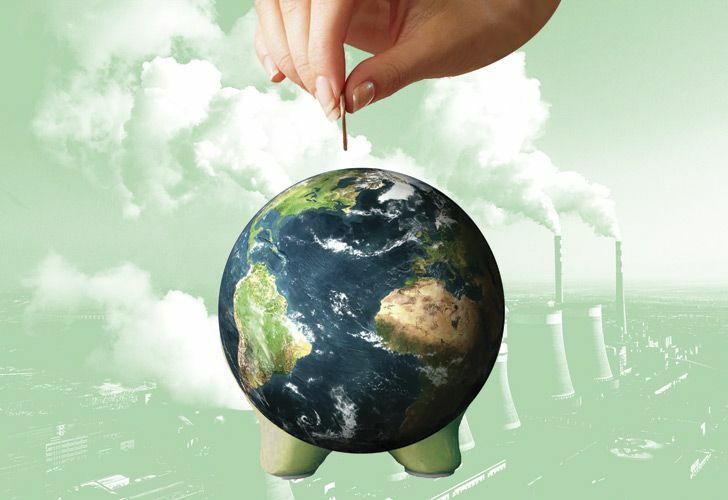 Finance is taking on a central role in negotiations over tackling climate change. Developed nations, multilateral agencies and the private sector all have a key role to play. With global temperatures now more than one degree Celsius above pre-industrial levels, climate change and its already visible effects are quickly becoming a new reality across the globe, pushing countries toward ambitious targets, seeking to reduce their emissions and implement adaptation strategies. However, experts say that transitioning the economy onto a low-carbon path will require major financial investment, from both public and private sources, guided by smart policies. That’s why finance has now taken on a central role in negotiations over tackling climate change. “Money is a key concern for many states seeking to finance climate action. There are now key discussions on who spends what and how the funds are used, seeking more transparency,” says Neydi Cruz, the deputy general director of international cooperation at Mexico’s Environment and Natural Resources Secretariat and focal point for the EUROCLIMA+ initiative, a European Commission programme encouraging cooperation between Latin America and the European Union on climate change issues. “The funds are there but they can’t always be accessed, that has to change. It’s difficult to translate the funding opportunities to accessible money. But we also have to think beyond government action, the private sector has a key role to play as well,” Cruz told the Times. Upon signing the Paris Agreement in 2015, developed countries committed themselves to providing US$100 billion per year, starting in 2020, to developing nations to assist them in dealing with climate change. Nevertheless, there’s still work ahead if the countries are going to reach that target. Climate change investment needs are significant in developing countries, with levels of direct government funding still scarce. That is why developed nations, multilateral agencies and the private sector have a key role to play. There are initiatives underway. The European Union is currently the world’s largest contributor of climate finance to developing countries and integrates climate change into its broader development strategy. The bloc is also the world’s leading aid donor, with collective official development assistance representing 0.51 percent of EU Gross National Income in 2016. By 2020, approximately US$5.7 trillion would need to be invested annually in green infrastructure, according to the World Economic Forum. “We have to turn our needs into business opportunities, so to get the attention from the private sector and the donors. We have to turn our ideas and funding needs into something real, creating projects that can be funded and can help address our needs,” Cruz said. In Latin America, there are at least 20 multilateral agencies involved in climate finance, as well as additional programmes by developed countries and the Green Climate Fund (GCF). But the region needs about US$30 billion per year to deal with the effect of climate change, according to the Inter-American Development Bank. There is still a long road ahead. “Climate actions needs strategic finance from the limited funds available at public and wide transformational investments to low carbon from the private sector, in order to implement the Paris Agreement. The European Union plays a key role in that funding,” says Ismo Ulvila, the principal administrator of the international climate finance at the European Commission. “Latin American countries have access to credit lines and can implement climate projects, something that isn’t sometimes the case for some other parts of the world. The region is also part of different programmes of climate funding, working towards a low-carbon transition of their economies,” he added. Among such programmes, in 2009 the European Commission established the EUROCLIMA+ initiative, aimed at helping 18 countries of Latin America to implement the Paris Agreement. Its objective is to facilitate the integration of mitigation and adaptation strategies and measures into public development policies. Five EU and two UN agencies help implement the programme, allocating funds in areas such as sustainable urban mobility, disaster risk management and climate governance. For example, in Argentina EUROCLIMA+ is helping the city of Córdoba to develop a more sustainable urban mobility plan. Next week, from Monday to Wednesday, EUROCLIMA+ will hold its annual regional summit in Buenos Aires, sharing information about the activities, results and challenge of the program and reviewing strategic orientations for possible additional funding from the EU into Latin America. The next step on the discussion will be the climate summit in Poland in the first two weeks of December, known as the Conference of the Parties (COP), gathering all member countries to the United Nations Framework Convention on Climate Change (UNFCCC). There, more than 190 countries will have to agree on the rulebook to implement the Paris Agreement, according to which they have to limit global warming under two degrees Celsius from pre-industrial temperatures – a challenging goal that will require greater ambition on climate change, from across the globe.